March 13-14, 2018. 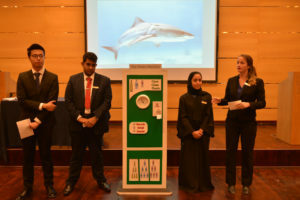 Dubai – The Innovation and Entrepreneurship (INEN) elevator pitch assessment, by the Emirates Academy of Hospitality Management (EAHM), was a mock Shark Tank experience to assess student’s ability to put their newly acquired design thinking skills by providing them a real-world experience. 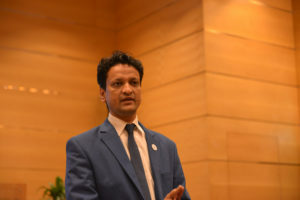 “I am truely honored to be a part of judges panel alongwith the co-judges Mr. Sultan Alshaali, Mr. Mario Gay, Dr. Scott Richardson, Dr. Sanjay Nadkarni, Shari Al M, Ameet Dighe, Dr. Michael Newnham, Prof. Donna Haas. Our education system is responsible for preparing young people to build successful lives. They should be ready for the wide range of possibilities ahead of them, including working for others, starting their own ventures, and contributing to their communities. 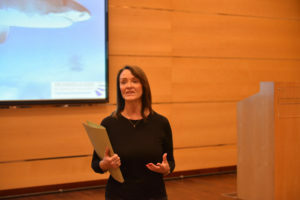 All of these options require a depth of knowledge in their chosen discipline, as well as creative problem solving skills, leadership abilities, experience working on effective teams, and adaptability in an ever-changing environment. It’s no coincidence that these are the same capabilities that employers say they want in college graduates. 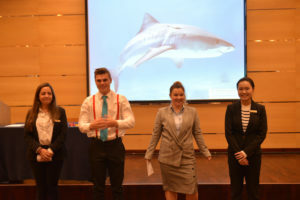 To encourage entrepreneurship in students, initiative of Emirates Academy of Hospitality Management offers more practical coursework, blending the theory in the traditional economic literature with the tangible needs of everyday business management with an experiential, hands-on, and action-driven to give students a real-world experience. 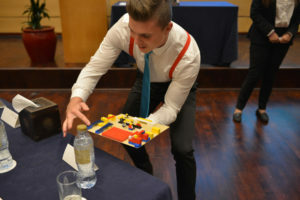 These skills are the cornerstones of management education, which explicitly prepares students to identify and address the real challenges and opportunities. 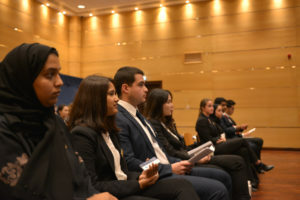 The Emirates Academy of Hospitality Management specialises in providing business management degrees with a hospitality focus and aims to become the world’s leading hospitality management school. Located in Dubai, a city that is globally recognised for its hospitality and tourism industry, EAHM is situated in the heart of this hospitality haven right opposite sister properties such as the Burj Al Arab, the world’s most luxurious hotel; Madinat Jumeirah, Dubai’s Arabian Five Star Resort, Wild Wadi Water Park and the multi-award winning Jumeirah Beach Hotel. 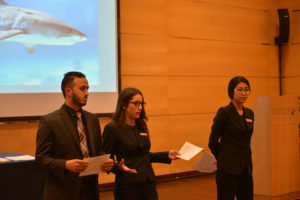 EAHM is in academic association with Ecole hôtelière de Lausanne (EHL) in Switzerland, the oldest hospitality school in the world and this association ensures the quality of all the study programmes offered. In addition, EAHM is also accredited by the Ministry of Higher Education and Scientific Research in the United Arab Emirates, the Institute of Hospitality in the United Kingdom and THE-ICE (The International Centre of Excellence in Tourism and Hospitality Education) in Australia. These international accreditations of the study programmes further add to the employability of graduates from EAHM. How AI is making the education system more relevant? 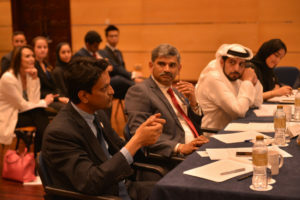 Khalid Shaikh discusses the “Role of AI in Healthcare & Medical Education”.